Reduce the risk of damp issues or the formation of mould with our range of dehumidifiers. Dehumidifiers condense water in the air, which can then be easily removed from a water tank. At Toolstation, we supply dehumidifiers from high quality brands, such as AirMaster. 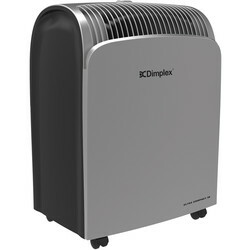 Browse our selection of home and industrial dehumidifiers here. 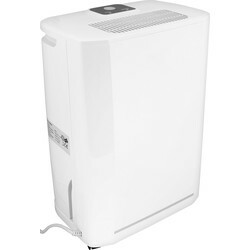 For a dehumidifier suitable for either domestic or commercial use, look at our AirMaster 12L dehumidifier. Its large 12L detachable water tank means this dehumidifier can effectively reduce humidity in the air and the risk of condensation. 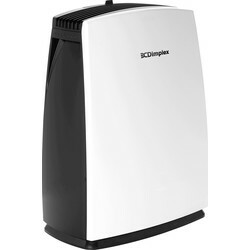 To prevent any spillage, this dehumidifier is designed to automatically cut off when the tank is full. The Airmaster 12L dehumidifier is ideal for reducing moisture in workspaces to prevent rusting issues. 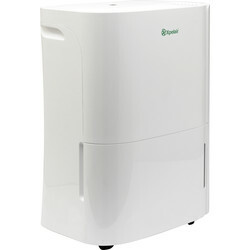 It is also well-suited as a home dehumidifier for both small and large properties. Its large tank can remove up to 12 litres of water to prevent damp or mould from forming in your home by reducing the humidity. Browse our selection of home and commercial dehumidifiers online at Toolstation.